The Mt Pleasant girls and boys soccer teams are in Carrollton today for the semifinals. First, at 12:30 pm, Coach Ramon Hernandez and the Lady Tigers take on Independence, and then boys coach Jason Mayfield will lead the Tigers against Heritage at 3:00 pm. There is no school today in the MPISD so fans may attend the games. Some rematches happening tonight on the baseball diamond. At Chisum High School, the Mustangs will host Prairiland. 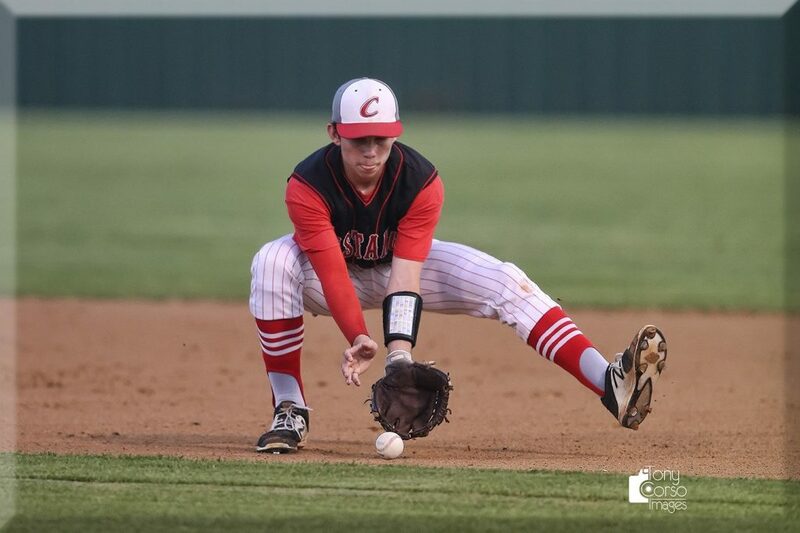 These two teams met Tuesday night in Pattonville with Chisum winning 7–2 in 10 innings. At Pos Long Field the North Lamar Panthers will host Pittsburg. The Pirates won Tuesday night 2–1. And at Paris, it’s the 4th ranked Pleasant Grove Hawks in town to face Paris. Paris fell 3–0 in Texarkana on Tuesday. On the softball field tonight, the Prairiland Lady Patriots will try to bounce back from their loss Tuesday as they travel to Cooper. Paris travels to Pittsburg. And on Mix 107.7 the North Lamar Pantherettes will be at Liberty Eylau. First pitch is at 6:00 pm. In soccer tonight the Paris Lady Cats will play Melissa in the regional tournament in Tyler. The No. 8 Texas A&M University-Commerce softball team fell 10–4 to No. 21 Tarleton on Thursday night. The Lions scored the first four runs of the game but were held off the board in the final six innings. The Frisco RoughRiders rode a fast start to a 5–2 win over the Midland RockHounds Thursday night. The Riders plated three runs in the first on an RBI single from Andretty Cordero and a two-run single from Michael De Leon. The Rangers had the night off but will be back in action tonight on 1490am and 96.3fm as they begin a series with the Oakland A’s. Pregame at 6:30. First pitch at 7:05. Round one of the Masters is in the book. And, there is a tie atop the leaderboard, as Bryson Dechambeau and Brooks Koepka are knotted at -6 under 66. Phil Mickelson is 3rd at -5 under. And, Tiger Woods finished at -2 under and is tied with 8 other players at 11th. The New York Jets added a veteran backup behind Le’Veon Bell, signing former Baltimore Ravens running back Ty Montgomery on Thursday. Sources say that it’s a one-year deal. Montgomery also has experience as a kickoff returner, another need for the Jets, who hosted the free agent this week on a visit. He also drew interest from the Miami Dolphins. Jaguars running back Leonard Fournette was arrested Thursday afternoon after a traffic stop and charged with knowingly driving with a suspended or revoked license, according to Jacksonville jail records. Fournette paid a $1,508 bond and was released after spending less than 30 minutes at the Duval County Jail. The Jaguars released a statement in which they said they were aware of Fournette’s “situation,” are gathering more information and would not have any further comment at this time. All-Star second baseman Ozzie Albies and the Atlanta Braves have agreed to a $35 million, seven-year contract, a deal that includes a pair of team options that could make it worth $45 million for nine seasons. The agreement announced Thursday supersedes a one-year contract signed last month that called for a $575,000 salary in the major leagues, $20,000 above the minimum.